This is certainly not your normal day of cuing at the lifts! 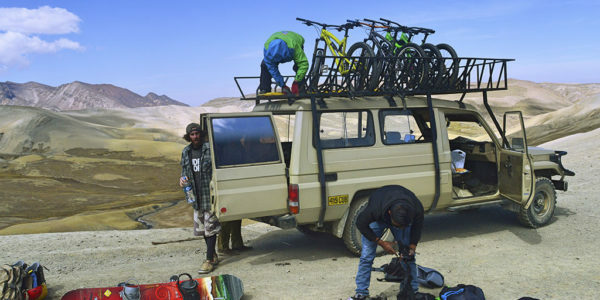 Instead, it’s 4×4 shuttling to ride on beautiful 5000m Scree Slopes tucked in the mountains surrounding La Paz. 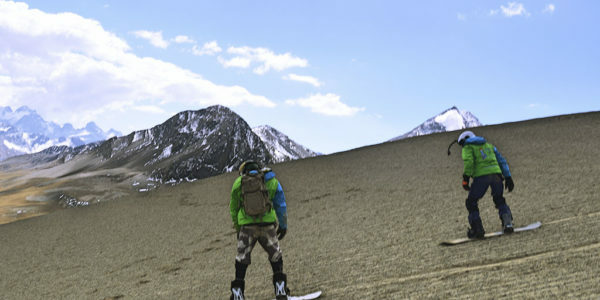 The ultimate backcountry adventure with all the gorgeous views and high altitude fun you can only get in the Andes. And we provide you with all the kit you’ll need! Sandboard equipment, jacket, food/snacks, water, transport and a Pro guide who can coach you to becoming a better rider. 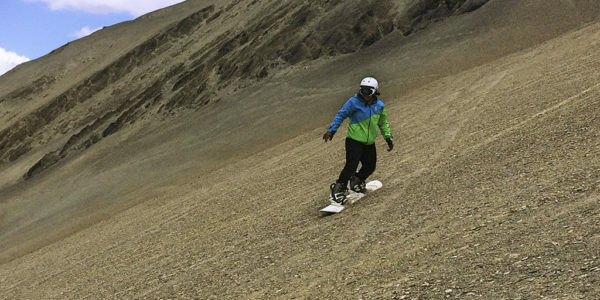 You don’t want to miss this amazing chance to ride higher than ever before and experience the majestic Bolivian Andes while ripping it up on a Scree mountain! Not very experienced, no worries! We have lines from beginner to expert and everything in between, plus your coach has years of training and expertise to get you up and going, or getting to that next level! We go any day of the week, with at least 2 adventurers, and for only 450 Bs! After meeting up at 9am in Sol y Luna (Murillo, corner Cochabamba), we drive out of the city and up to the mountains. Passing colored lakes, stunning viewpoints and mining centers, we make our way up to the foot of Huayna Potosi mountain, tucked in an untouched valley. Our 4×4 takes us up as far as the road can go and then we have a short more or less 15 min. trek slightly down over a field with an amazing view of Huayna Potosi! Up the starting point you get a view from the middle of the Andes, over all the incredible valley with beautiful colored lakes and the old mining shacks. From there on at the flatter parts everyone can check out how it works to ride on Scree. And our top notch guides will be able to coach you through it all, while ensuring your safety on the day. You can ride it all through to the end of the Slopes, walk about 5 more min. down and catch the already waiting Jeep for the ride back up. Have a little chat with each other, get some to drink or Snacks to recover your energy for the next ride. Midday take a break, have a great picnic lunch and take in the spectacular scenery while you contemplate being (quite literally) on top of the world before sessioning new lines or the favorites you’ve already found. Yeah. It’s more than epic. It’s the Andes!